The American Association of Orthodontists (AAO) recommends that all children have a check-up with an orthodontic specialist no later than age 7. Early interceptive treatment on a 7 year old child may indeed be appropriate and beneficial. 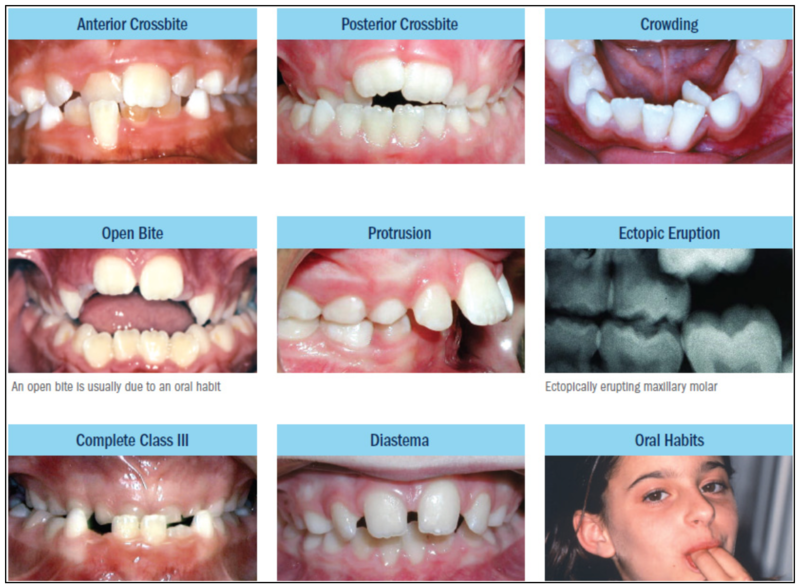 The kinds of problems shown below often benefit from early orthodontic treatment. Malocclusions like those illustrated below, may benefit from early diagnosis and referral to an orthodontic specialist for a full evaluation. © 2017 Greeley and Nista Orthodontics, All Rights Reserved.